MANILA, Philippines — Mary Joy de Vera of Barangay Dampalit in Malabon is a solo mom of a son and twin daughters. When she gave birth to her twin daughters, De Vera found it hard to get back to work. Pan De Ladies is a livelihood program organized by the Malabon City Government that grouped together 150 women and solo parents. It encouraged these ladies to become entrepreneurs by selling the most basic and staple food of Filipinos: pan de sal. Solo parents, especially moms, are among the most neglected members of society. Acting both as breadwinner while taking care of the household and the kids, they give everything to their family and leave so little for themselves. Dressed in bright pink, the Pan de Ladies are ready to sell their wares. Malabon Mayor Lenlen Oreta recognized this problem and has launched a number of notable livelihood projects that empowers solo moms. One of these projects is Pan de Ladies. Through a partnership with Malabon’s Bureau of Jail Management and Penology (BJMP), which operates a bakery manned by inmates with baking experience, the City Hall of Malabon orders baked goods like pan de sal, pan de coco and Spanish bread which the Pan de Ladies resell by going around their respective barangays. Finding the first batch of ladies was done by tapping Malabon’s barangays. Officials went door to door, encouraging female solo parents to join a meeting so they can explain the project in detail. Then, they were able to enlist women, mostly solo moms, who all wanted to earn some extra income to augment their household income. 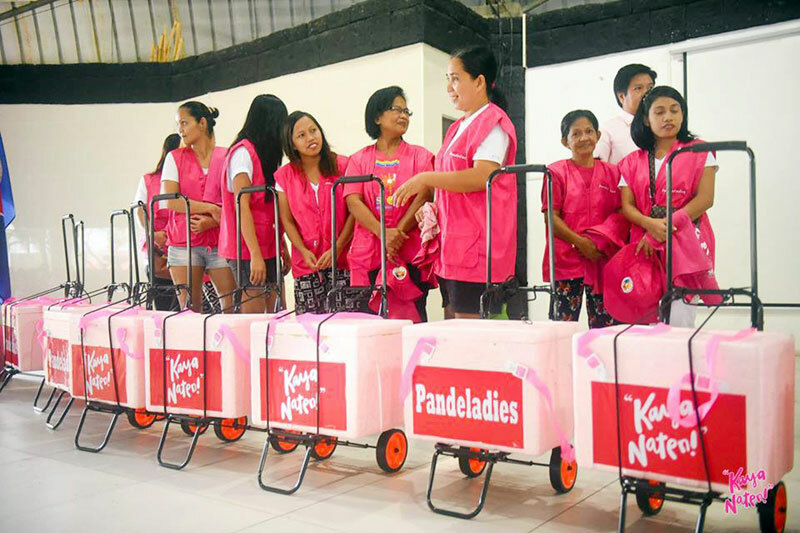 Each Pan de Lady was given a P1,000 starting capital and accessories like uniforms, a large styro box where they can store freshly-baked bread and a trolley to make it easier for them to sell around the community. 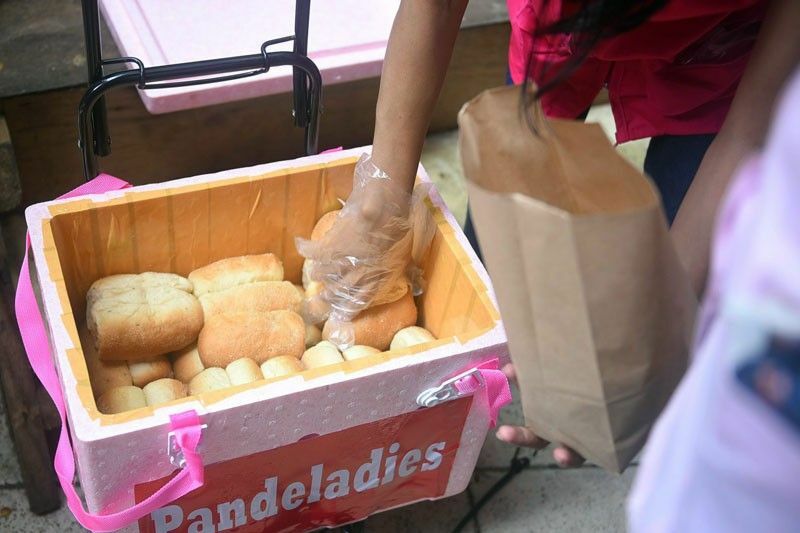 Pan de Ladies was conceptualized as part of the Malabon City Government’s commitment to empower women, solo parents and people with disabilities (PWDs). Oreta himself believes that now is the best time to help women realize their full potential and that their place in society is not restricted to the four walls of a home. Working as Pan de Ladies has definitely changed the lives of its members. Diane Alejo of Barangay San Agustin shared that the bread has added another set of products that she sells along with the food she cooks at home. “I would sell food to my neighbors, and this has always been my main source of income. When I became a Pan de Lady, I was able to sell bread that my customers would buy as afternoon snacks,” she said in Filipino. The money she earns is what she uses for her only child. She now has something extra to give for school and would even use the money to buy food for their household. Fifty-year-old Maria Teresa Galo of Barangay Concepcion, on the other hand, doesn’t mind going around the neighborhood to sell bread. She would head to the BJMP bakery at 4 a.m. to buy pan de sal and would be done selling by around 9 a.m.
She would then proceed to her part-time job as housekeeper, admitting that she would also bring bread like pan de coco and Spanish bread to her employers, who often buy from her. Being a Pan de Lady has definitely helped her raise her two children (aged 11 and 14) and is a big help for a solo parent like her.